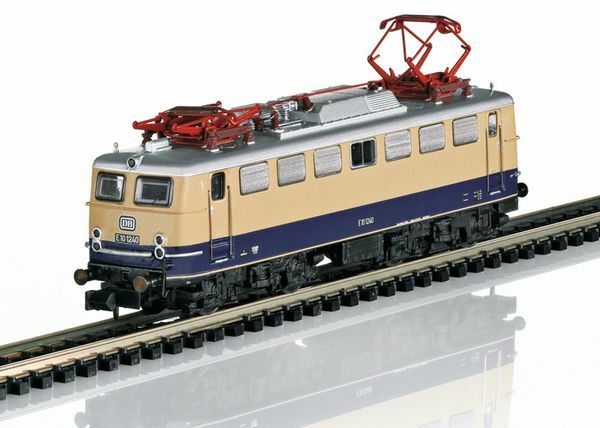 Prototype: German Federal Railroad (DB) standard design electric locomotive, road number E 10 1240. Express locomotive as the "Rheingold" interim locomotive with a squared off locomotive body, 5 headlights / marker lights, continuous rain gutter, and high-efficiency vents. Cobalt blue / beige basic paint scheme. The locomotive looks as it did the summer of 1962. 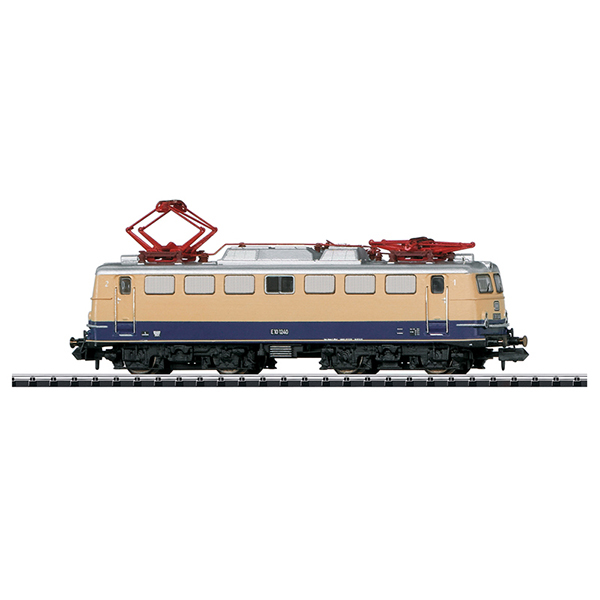 Use: Passenger trains for commuter and long-distance service. Model: The locomotive is new tooling. The body and frame are constructed of die-cast zinc. 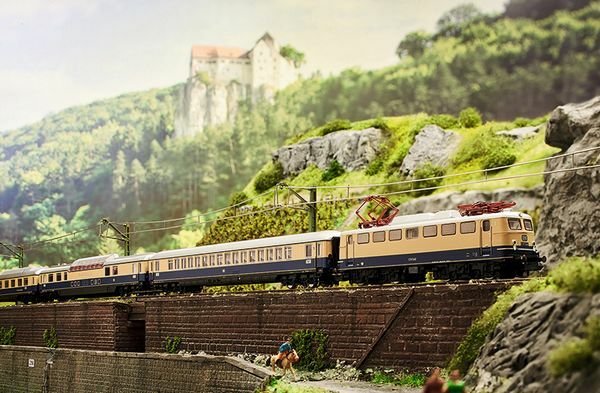 The locomotive has a built-in digital decoder and sound generator for operation with DCC and Selectrix. The motor has a flywheel. 4 axles powered. Traction tires. The headlights and marker lights change over with the direction of travel and can be controlled digitally. The locomotive's cab lighting can be controlled digitally. Warm white LEDs are used for the lighting. The locomotive has a close coupler mechanism. It also has separately applied grab irons. Length over the buffers 103 mm / 4".